Opened Binion's Horseshoe in 1951. He sold his share of this casino several years later to pay for legal expenses due to tax evasion, but the Binion family reacquired ownership in 1964. It was later lost in 2004 after another problem with tax evasion. 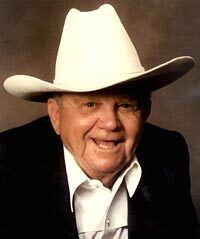 Binion founded the World Series of Poker in 1970, a brand now owned by Harrah's Entertainment.